Richard Carcaillet, the Head of Strategic Marketing for Airbus talks exclusively to us about the Singapore Airlines A380, customers asking for ‘the near impossible’ and the future of air travel. It certainly was a bold move. The very large aircraft market had been dominated by a single aircraft family since the mid-1960s so in our opinion, a new generation offering was needed. 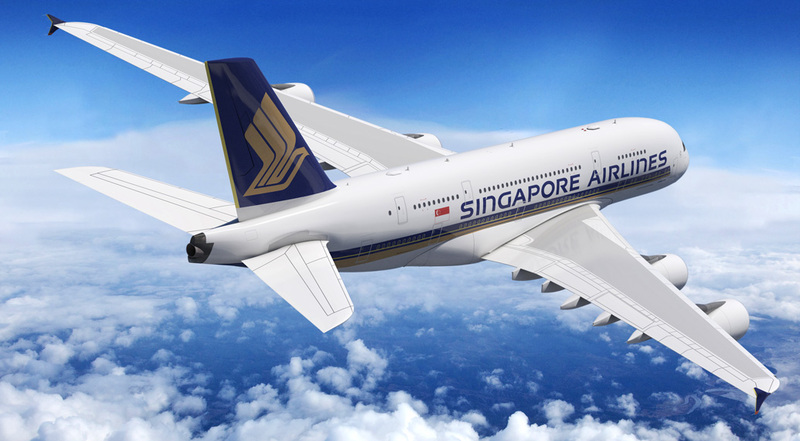 Singapore Airlines took part in a wide ranging market consultation by Airbus into what the new aircraft should look like, and the result was the first full-length double deck airliner. 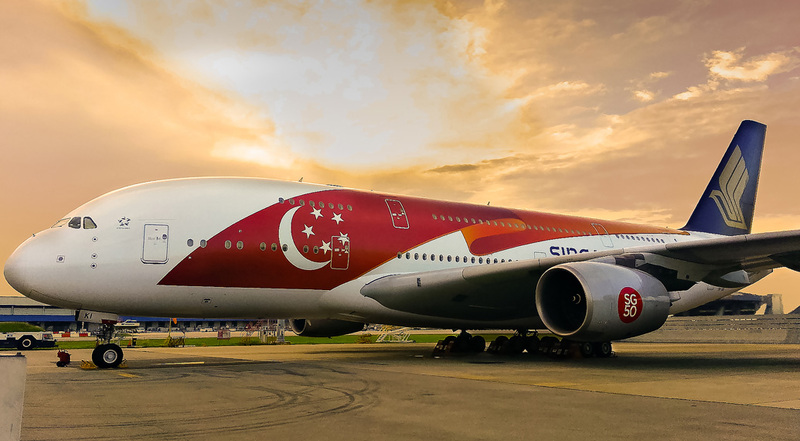 Developing the A380 was a major investment, but first delivery to launch operator Singapore Airlines was on 15 Oct 2007, when then-CEO Chew Choon Seng said ‘as of today, there is a new Queen of the skies ‘was a major, historic achievement. What were the initial design and technological challenges and how were they overcome? The main challenge was one of a size never before attempted, and thus the need to apply new, lighter materials (for structure) and lighter, smaller systems (for elements such as flight controls and air conditioning). It resulted in a number of breakthroughs and firsts. For example, the A380 uses composite materials for 25% of its structural weight and that is double what was known in the most recent designs at the time. Overall, the A380 with these new materials and systems turned out to be15 tonnes lighter than it would have been using previous design technology levels. The need for smaller systems is not only for weight, but, interestingly, because as a full double-decker the A380 would offer much less empty space outside the cabin for systems installation. It is interesting to note that these leading-edge systems innovations on the A380 set a new benchmark for Airbus, to the point that they were re-applied in their entirety to the all-new A350, launched six years later in December 2006 (with first delivery in December 2014). Very few of the world’s major airports were geared up for such a huge plane. Did they need convincing to accept the A380 given that it needed an 80m x 80m envelope? Airports were consulted and all said the business case for welcoming the A380 was clear. It brought more passengers per gate and per slot/per movement (i.e. per take-off or landing), increasing productivity and allowing further growth on major routes with no heavy investment in more infrastructure, and leading more passengers to their shops! The A380 dimensions, but also its weight distribution on the 22 landing gear wheels made it easier to handle and manoeuver than existing large aircraft. The only adaptation needed was to design gate space large enough for its wider wingspan and, ideally, with direct upper deck boarding bridges. Runways and taxiways did not have to be lengthened or widened for the A380. As a result, today there are already a total 120 airports worldwide compatible with the A380; the figure increases to 220 with the alternate (diversion) airports included. Recent airports having started regular A380 operations by one or more airlines have been the major cities in India, Delhi and Bombay as well as Taipei and Mexico City. In a 2014 interview with Chief Engineer John Roberts, he said that ‘From an engineering point of view, a lot of the pressures in aerospace are environmental. The airline industry has made a commitment to reduce carbon emissions. It’s a socially responsible thing. But fuel is a huge part of running costs, so it is commercially sensitive, too. It is a win-win for the airlines. In the old days the drivers were about performance: you had to make the thing go further, faster.’ What are today’s drivers? Our industry produces industrial machinery for the airline industry – the aircraft that fly their passengers and cargo. In other words, these fascinating aircraft are essentially the machines producing seat-kilometres and tonne-kilometres that airlines sell in the air transport market. So the above comments by John still hold true. It’s all about economic efficiency and environmental responsibility; lower fuel burn for a given level of performance and also lower noise (for lower charges or higher operating quota e.g. London airports QC system). Lower noise also results in an amazingly quiet cabin, and an aircraft that is a pleasure to fly in over long distances. Passengers do love the A380 and some will go out of their way to fly on it. The A380 also helps make airport neighbourhoods markedly quieter (e.g. LHR early morning arrivals from Asia). He also said that your customers ‘will be asking for the impossible’. Have you have any particularly unusual configuration requests? No, but clearly the A380 was going to be the flagship of the fleet and would include the best and latest on-board products (seats, amenities, connectivity). Our customers and in particular Singapore Airlines did ask for the near-impossible, but not in the cabin. SA demanded the aircraft be QC2 capable in terms of airport noise at take-off. This led to a comprehensive design review and significant changes, starting with 6in wider engine fan diameter, which caused some sleepless nights for our engineering teams– but this was the right decision, making the A380 at entry into service by far the quietest aircraft in the sky, future-proof from an environmental and social acceptability point of view, and, as mentioned – truly a ‘great way to fly’. From a practical standpoint, when Singapore Airlines ordered their first A380, how long did it take from order to delivery? 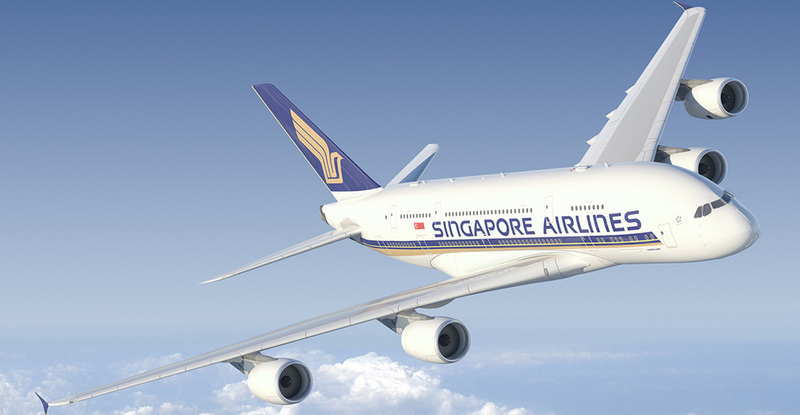 As one of the launch customers, and as the launch operator (flying A380s in exclusivity for nearly a year before competitors started getting their own A380s from summer 2008), Singapore Airlines entered into the classic partnership with Airbus; accept some delay and maturity risks for the privilege of being a launch customer and the ‘first to fly’ the A380. Industrialization (not design-related) delays did occur, and meant a later delivery than promised; but other innovative all-new aircraft designs also delivered late in the following years. Such is the magnitude of the challenge aircraft manufacturers face when they ‘change the game’ with leading-edge technology insertion into an all-new design. Today, it takes two years from ordering an A380 to the earliest possible delivery. Your website says that global air traffic doubles every 15 years so physically bigger planes are needed to satisfy demand but where does it end? Are they simply going to get bigger and faster? In fact, air traffic doubles approximately every 10 years in the faster-growing Asia-Pacific region. A mix of frequency and aircraft capacity growth is expected to continue to provide the means to accommodate this traffic growth. Faster? Probably not, given the economic and environmental hurdles posed by hitting the sound barrier (Mach 1), as Concorde demonstrated. Bigger? Yes, on the major routes within Asia and between continents. However, the variety of route volumes and competitive dynamics require different aircraft sizes to meet airlines’ fleet needs. This is why the future long haul, wide-body offering from Airbus will comprise both A380 and A350 models; which also continue with Airbus’ unique operational commonality – historically, a Airbus key differentiator that allows substantial productivity gains and flight crew cost savings (via cross-crew qualification and mixed fleet flying , meaning an A380 pilot can be trained to fly an A350 in much less time than if the aircraft had no commonality). We note the environmental and social responsibility and acceptability of air transport may possibly favour larger aircraft; and an aircraft larger than today’s A380 is expected to be inevitably required at some point in the future. Airbus has planned for this. The A380 could grow in size by approximately another 20%, with a fuselage stretch; it is conceptually understood, but has not been designed yet. As always, the market will lead us to decide (balancing all our strategic interests and our financial, personnel resources and other constraints) when launching a longer A380 could make sense i.e. represent a good business case for Airbus; certainly, we can see a larger A380 in future on major world routes such as Singapore to London Heathrow. You split the aircraft market with the Americans. Is competition healthy in your industry? Definitely, yes. Airbus was created in 1970 out of a will to compete with the then US-dominated airliner industry. Today we have a duopoly to the benefit of airlines (competition) and of progress, as we both strive to advance the state-of-the-art and to seek a competitive edge in the various segments in airliners from 100 to over 500 seats. The headline facts of the A380 are staggering – almost 6,000 square feet of usable floor space, close to 850 in an all-economy configuration, a cruising speed of 900 km/h, a range of almost 16,000km, a maximum take-off weight of 575 tons and 320,000 litres of fuel – how do you go about starting the design process for such a phenomenal feat of engineering? The A380 design challenge was its sheer size, and the paradoxical need for smaller, lighter systems. But it’s still an aircraft, so design techniques were really the same as for any other wide-body – only a double-decker one, with challenging performance (e.g. payload, range) requirements – which were all met right from entry into service. This is a remarkable fact, as most early models of an all-new design usually fall a bit short in some areas. We focussed a multi-disciplinary team of Airbus people (both old hands and ‘angry young men’) for four years prior to launch in the Large Aircraft Division team, working with airlines and with the design offices of Airbus to achieve a successful aircraft design. Looking back 15 years later, this we believe was the major success factor, including the market-driven characteristics that were derived from the continuous airline consultation – unprecedented and very fruitful collaboration between a manufacturer and its customers to design a future product. The Airbus A350 XWB is said to be shaping the future of medium- to long-haul air travel. How? This simple marketing slogan says the A350 XWB is a versatile aircraft, at home both on regional and long haul missions, providing a step change in efficiency vs similar-sized previous designs. What’s on the Airbus drawing board? What can we expect of the next generation of flying machines? We are constantly seeking new ways to design, produce and support aircraft to the benefit of our customers, the environment, and of course our own bottom line. The recent launch of re-engined variants of our best-selling A320 and A330 (with the A320neo and A330neo) and of new, incremental variations on popular designs such as the A350-900ULR and the A321LR, show ours is a permanent quest for a better, more segmented, more competitive offer. Another couple of areas of current focus are Airbus digitalisation, and growth in services. The former allows more efficient, real-time optimisation of production and support of our aircraft, and an easier way for all Airbus people around the world to collaborate. The latter based on the fact that we have a great growth opportunity in a field where we have a key edge. No one knows our aircraft better than we do. In terms of aircraft, the most modern, state-of-the-art products on the market are the A380 and A350 XWB. We have been setting the standards for 45 years since we started, for instance with fly-by-wire, operational commonality and the application of composite materials in primary structure; all of which were emulated by our main competitor….! 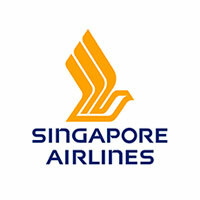 We certainly intend to continue, thanks to the support of long-time customers (rather, partners) like Singapore Airlines.